Today I want to talk with you about a project that is close to my heart. I'm very passionate about it and that's why I'm putting myself out there to share it with you. It's a project based on my upcoming poetry book, Her Stolen Tears. This is bigger than me so I'm asking you to join me and be a part of the #herstolentears community. It's not just about the book's pre-sales, it's about allowing voices to be heard and mobilizing a community. To me, writing poems means freedom. I love to express my emotions through the written word, in the form of poetry stories. I love the relief, the rhythm, and the artistic release of everything within. Though my poems are personal, a significant part of my work is also expressing the emotional journeys of others. I want my readers to understand that they're never alone, and I want them to see themselves in my words. My poetry is all about connecting people. 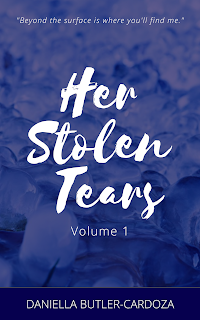 As a contributor to this project, you can join our #HerStolenTears Facebook group and help shape the project, as well as follow the book's progress. The release date is set for June 21, 2019, which is also my birthday. Since 10% of the donations will be given to a charity, it's only fair that the contributors help decide which charity is worthy of this gift. In addition, contributors that opt to get a copy of the book will be sent their copies first. For more information and to learn how you can contribute, visit https://www.gofundme.com/her-stolen-tears.